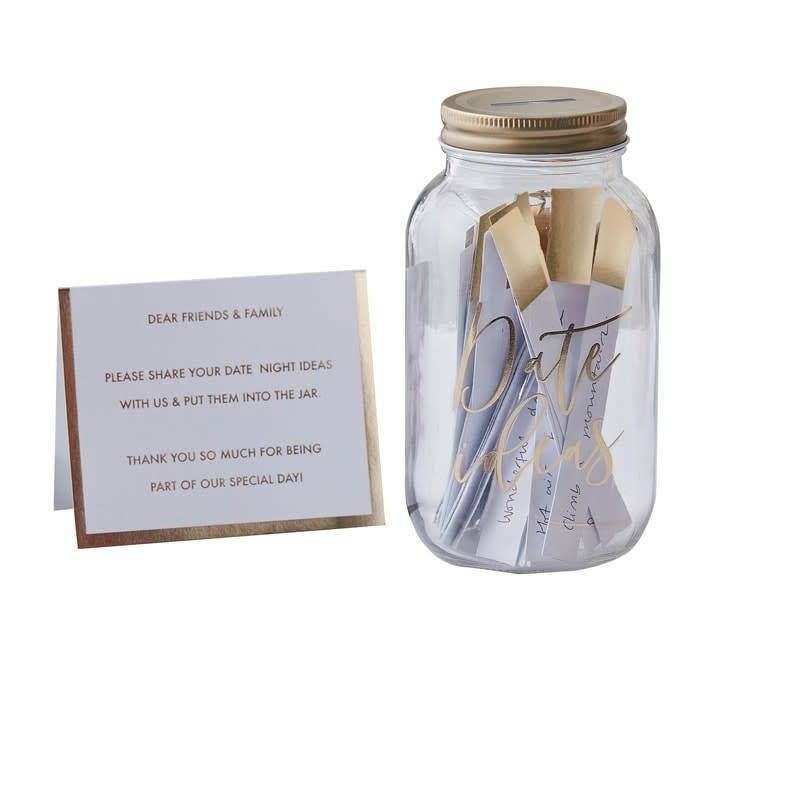 > Use this simply stunning date ideas jar for guests to share date night ideas > Each pack contains 1 wishing jar, 100 foiled cards and 1 instructions tent card. Use this simply stunning date ideas jar for guests to share date night ideas for the happy couple. The gorgeous glass jar comes with a gold lid, with slot and 100 blank gold foiled cards. 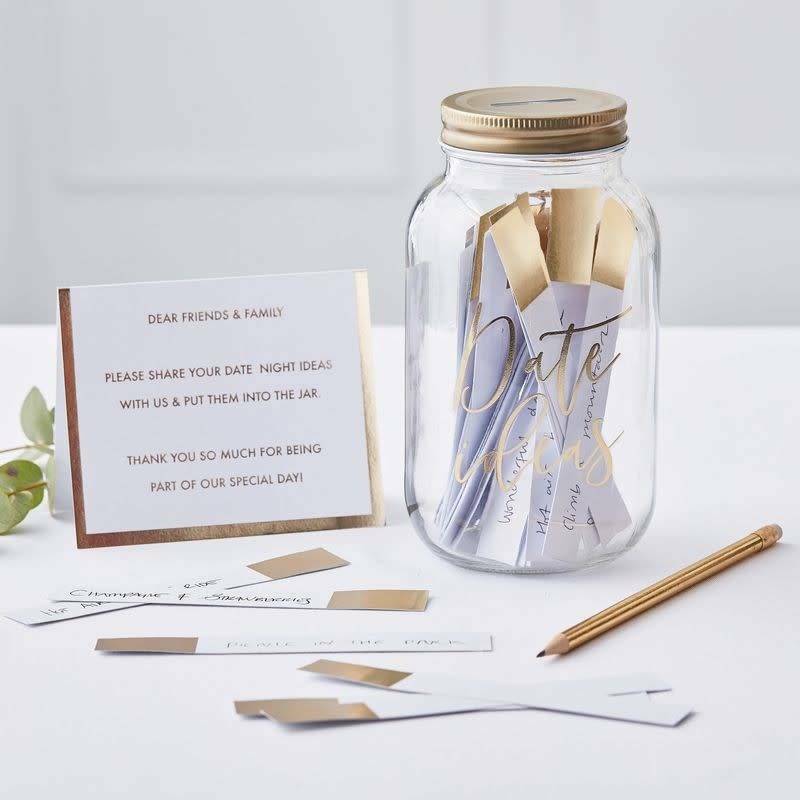 Your guests can write their date night ideas to the bride and groom onto the card and slot them into the jar. A great way for your guest to be part of your special day and re-live the special day in the future!